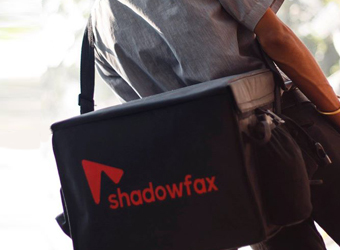 Hyperlocal logistics startup ShadowFax Technologies Pvt. Ltd has raised $10 million (Rs 68 crore) in Series B funding led by existing investor Eight Roads Ventures, an investment arm of Fidelity International Ltd. The investment will help Shadowfax build its network, consolidate its market position and stabilise performance in existing cities, Eight Roads said in a statement. ShadowFax is an intra-city logistics services provider to neighbourhood merchants, grocery shops, pharmacies and e-commerce clients. It was set up in early 2015 as a food-only delivery player but has diversified across multiple verticals. It completes about 30,000 deliveries a day in 10 cities. Kabir Narang, partner and head of technology at Eight Roads Ventures, said that Shadowfax has shown growth with "attractive unit economics" across key markets since the investment firm first put money. "The company has built a differentiated technology platform and diversified from being a food-only delivery player to now delivering for grocery, pharmacy and e-commerce clients," Narang said. Eight Roads, which specialises in early-stage and growth-capital investment, had put $9 million in ShadowFax's Series A round in September last year. A couple of months after the Series A round, Gurgaon-headquartered ShadowFax acqui-hired Pickingo in a cash-and-stock deal. ShadowFax was founded by IIT graduates Abhishek Bansal and Vaibhav Khandelwal in May last year. The company had secured seed funding of $300,00 from Kunal Bahl and Rohit Bansal of Snapdeal, Powai Lake Ventures' Zishaan Hayath and Limeroad co-founder Prashant Malik. Bansal, who is also the CEO, said that the company is seeking to fulfil the need for quality on-demand logistics in India and that merchants can focus on their core business by outsourcing last-mile delivery services. ShadowFax's clients include fast-food chains McDonalds and Burger King, e-tailer Amazon, grocery delivery startup Big Basket and hospital chain Fortis, he said. A person close to the development said the startup's Series B round includes investments from some affluent individuals. The person didn't specify who these people are. The company has a revenue run rate of Rs 5 crore a month and is growing up to 15% month on month, the person added. ShadowFax competes with the likes of Bangalore-based Runnr and Mumbai's Grab. Carthero Technologies Pvt. Ltd, which had been operating hyperlocal on-demand logistics startup Roadrunnr, acquired troubled food ordering platform TinyOwl and rebranded itself as Runnr in June. Eight Roads Ventures has made a couple of other investments in recent months. In November, it agreed to invest up to $25 million in Chennai-based non-banking financial company IFMR Capital. Earlier this month, Eight Roads Ventures along with US-based F-Prime Capital Partners invested $12 million in Core Diagnostics Pvt Ltd.
Other technology firms that the investment firm has previously backed include Bank Bazaar, Icertis, AbsolutData and Toppr.